According to Magisto research, the average mobile user takes around 150 photos every month and they have more than 600 photos stored on their mobile devices. However, before deciding to post images on any of the social media platforms, users edit them in order to achieve the highest level of quality. 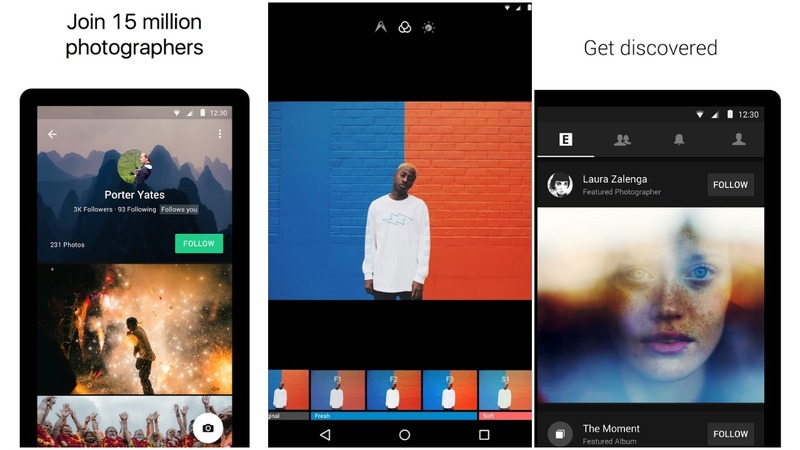 Today, we have a multitude of picture editing apps for smartphones that allow users to style images with only a few touches. In the following article we will list 7 most popular image editing apps among Android and iPhone users. There are about 1 million selfies taken globally on a daily basis and the majority is posted on one or even more different social platforms. The Android AirBrush app represents the ideal choice for people known to be selfie maniacs, but also perfectionists. With its premium natural photo editing tools, you can fine tune your image all you want and still maintain the fresh look of your face. With only several taps of your finger you can remove blemishes, perfect your complexion, whiten your teeth and brighten your eyes. 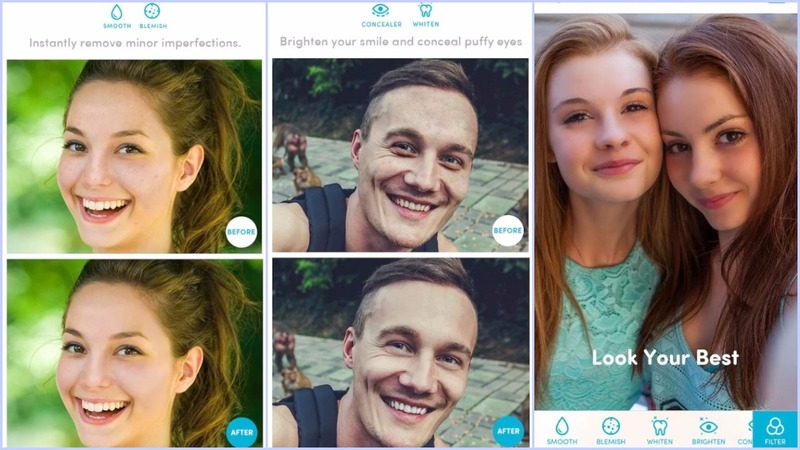 It also provides users with a multitude of filters designed to enhance the look of any selfie or a portrait image before posting it online. If you’re on the hunt for an easy-to-use mobile version of Photoshop, then look no further than Pixelmator. This handy app has a layer-based editor that enables you to clone, distort, crop and much more, which makes it one of the best apps for advanced photo editing. You can choose from dozens of outstanding effects that are designed to improve the look of an image. One of the best features of Pixelmator is the fact that it works impeccably with Mac, so you can start your work on one device and then continue on the other. It is suitable for both amateur photographers and professionals. For those who wish to fix their images professionally and cannot settle for anything less than HQ, iTunes offers the extraordinary Mextures app. What makes it one of a kind is the option to apply film grain, textures and gradients in a matter of seconds. The fact that it comes with more than 200 formulas for simple editing is the reason why Mextures is the number one choice for all professional photographers. The EyeEm app is the most reliable partner for professional photographers who are looking to improve their work. Nevertheless, it’s user-friendly interface provides newbie photographers with the opportunity to join a creative community and showcase their talent. Whether you wish to the become next world-famous landscape photographer or just want to snap a couple of delicious cake images for your personal cookbook, EyeEm’s 24 free filters and state-of-the-art tools take picture editing to another level. Fine tune your every image with Contrast, Saturation, Sharpen or Fade effect and get maximum exposure. VSCO is by far the most-downloaded image editing app on Android. What makes it every photographer’s dream are its solid editing features, personal user-uploads page and its easy one-click fix feature. VSCO Cam’s minimal interface is precisely what makes it the first choice for many users. It’s known for its unique ability to compare your original image with the edited version by holding down on the image in edit view. With VSCO Cam you can easily share your photos to Instagram, Facebook, Twitter and others. You can also sync and edit images across several devices, showcase your work, as well as follow other creative souls from the VSCO Cam’s community. If you are willing to devote a bit more of your time to exploring a variety of options one image editing app provides you with, then Enlight is the ideal choice. Designed exclusively for professional photographers and those hoping to improve their skills. Enlight has an extensive collection of basic and advanced editing tools, as well as a range of more artistic effects. It is recognized for its cutting-edge features, such as curves, custom presets and customizable filters. Although it might seem a bit complex for first-time users, Enlight’s amazing built-in Help features will help you easily navigate through the app. Although many apps enable you to remove unwanted objects from a photo, the TouchRetouch app is designed solely for this purpose. Whether there is a couple of dirty dishes in your picture-perfect family dinner or a group of tourists ruining your romantic pic in front of the Eiffel Tower, TouchRetouch will help eliminate anything preventing you from creating a long-lasting memory. It comes with in-app video tutorials, smart image background recovery techniques and unlimited undo/redo actions, so you do not have to worry about accidentally deleting the wrong object from the image.